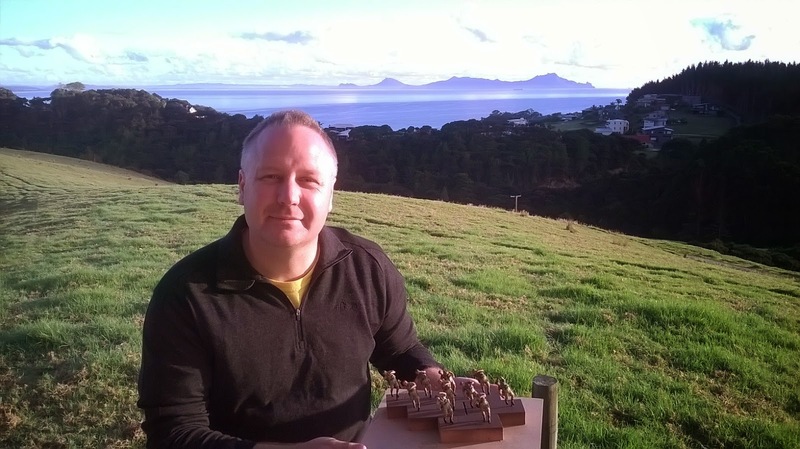 Being mostly Wellington based (but working in and now moving to Auckland), John Hutton has been gutted he hasn't been able to join the painting and terrain-making crew at Weta Workshop the last few days. "Rather," he says, "this Easter I've been at a bach south of Whangarei, joining my partner's family as they gather to celebrate her grandmother's 90th birthday - the party was held at that classic venue, the Mangapai Gun Club. "Thus while others have been labouring in a warehouse in Wellington, I've had great views and great sun to accompany my brush-strokes. 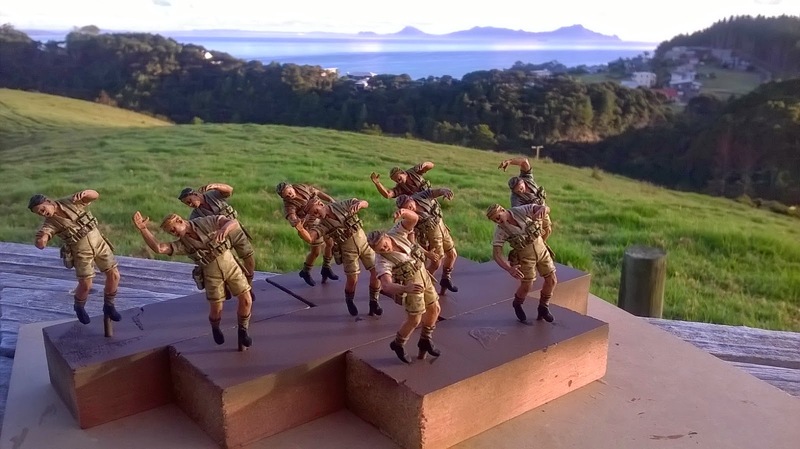 Late last night I completed my last set of figures - ten falling wounded/killed Kiwis. I photographed them this morning in the rising sun." 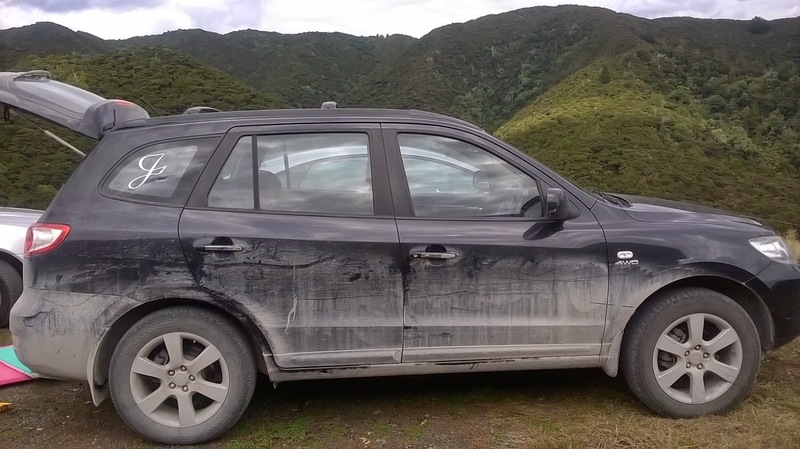 "I then used up my left-over Ushabti Bone to dry-brush the brother-in-law's car. Kidding! But I'm sure Northland road dust is the pigment base for the most-used pot of paint in this project!" "This really has been a great project," says John. "I'm looking forward to seeing the completed product. 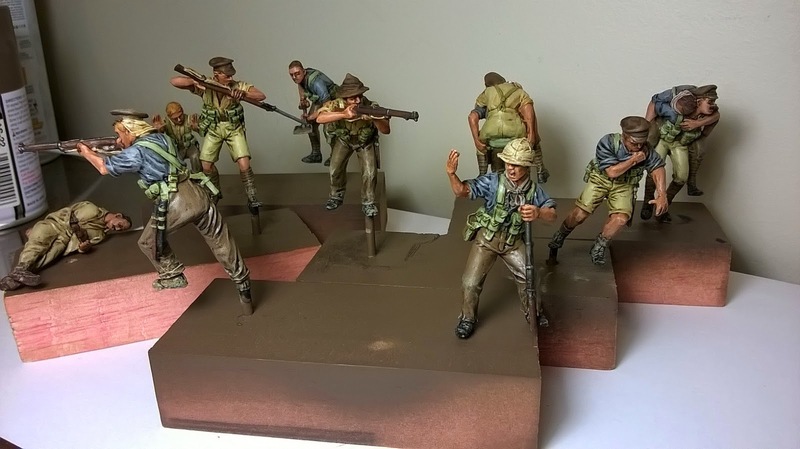 Below are some Kiwis in interesting poses I finished earlier." I mean "nice one". Damn fat fingers.